Subscribe to the Pool’s calendar! 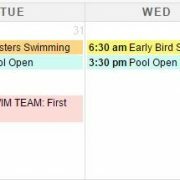 Want to keep track of pool hours, events, special opening and closing times from your Google (or other) calendar? Add Rock Creek Pool’s master calendar to your calendar.